Bumper Sticker Kicker...it's that time again!! Want a $25 gift certificate to Lucky Bamboo Tattoo? 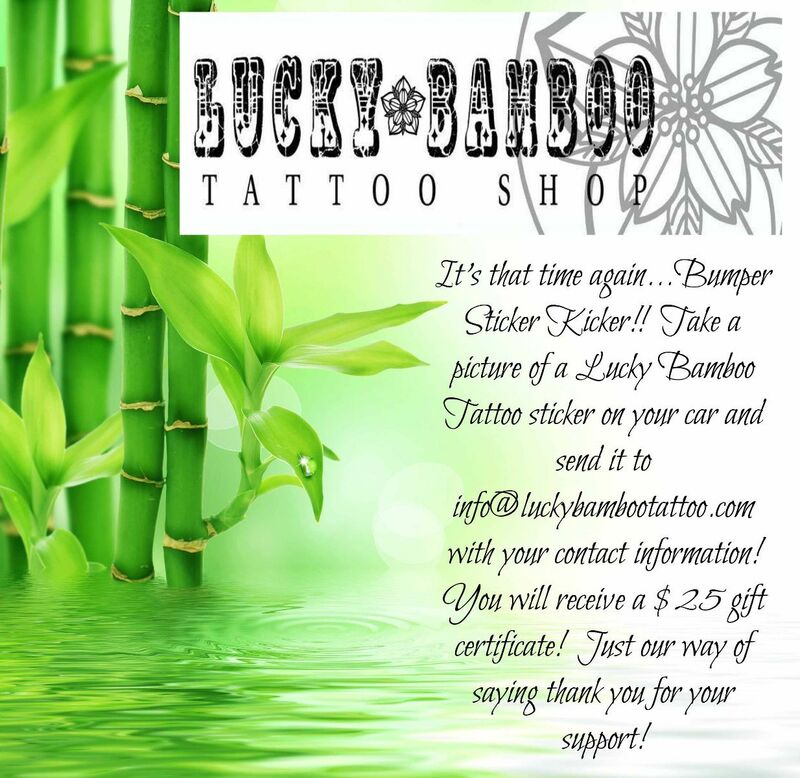 Take a picture of a Lucky Bamboo Tattoo sticker on your car and send it to info@luckybambootattoo.com with your contact info! We will send you your gift certificate for your continued support! We really appreciate each and every one of you!